A year ago, with the launch of the Galaxy S7, DisplayMate said Samsung’s 2016 flagship device had the best smartphone display available. Now, get ready for a shocker, DisplayMate is back, this time declaring that the new Galaxy S8 has the best smartphone display, awarding it an A+ rating. 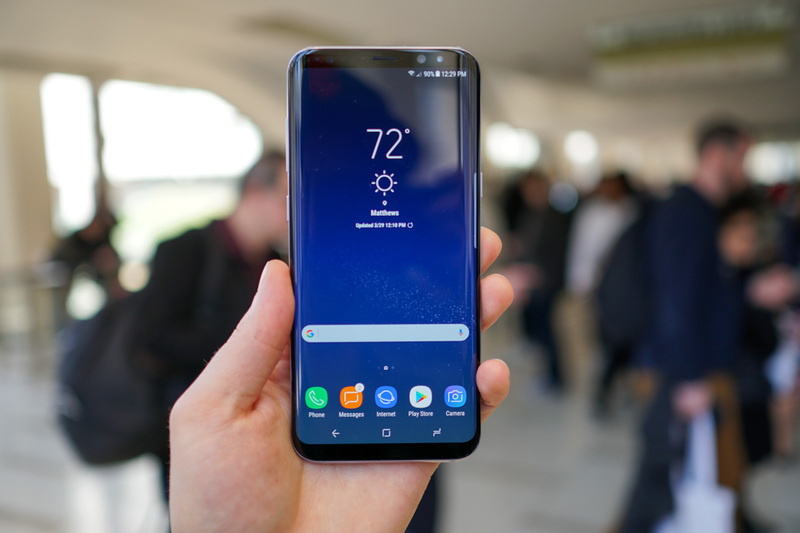 Thanks to a new 3K resolution (2960 x 1440 Quad HD+, 570 ppi), blue light filter, support for four different screen modes, plus being the first phone certified by the UHD Alliance for Mobile HDR Premium, Samsung packs a mighty display punch inside of the Galaxy S8 and Galaxy S8+. Below, DisplayMate detail everything that has been improved with regard to the display. Not too surprisingly, it’s a long list. Higher Screen Brightness from 5% to 19%. Larger Native Color Gamut with 113% DCI-P3 for better displayed Colors in High Ambient Light. Enhanced configurable Edge Display for the curved side screens. Enhanced Always On Display mode operated with IC hardware rather than App software. Enhanced Personalized Auto Brightness Control. Enhanced Image Processor for Adaptive Dynamic Brightness and Contrast Range Expansion. Enhanced Performance Modes and Power Saving Modes. Stronger curved Gorilla Glass 5 protecting the display. Keep in mind, this list is only what’s been improved, not what’s new. That list is even longer and more detailed, so we recommend you go check it out on DisplayMate’s site. The point is, the Galaxy S8 has a really, really good display.